Over 1200 people went on coach tours to the west of Iceland yesterday to see the northern lights with the Gray Line tour company. 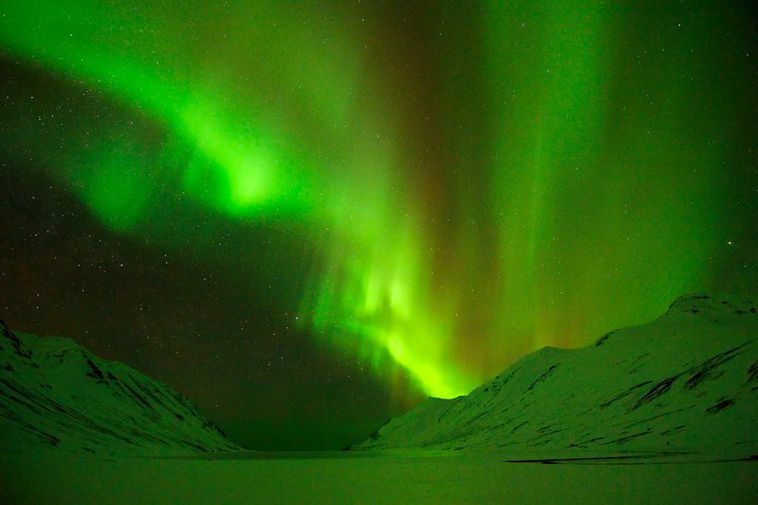 Twenty four coaches were dispatched on northern lights tours yesterday, a record number according to the company. Director of sales and marketing at Gray Line, Þórir Garðarsson, says that this great number of tourists on one day is explained by poor weather conditions and visibility in recent days which meant that many had been waiting to go on a trip. Garðarsson also explains that the company only goes on northern light tours if there's a strong likelihood of actually seeing them. "If our clients don't see any northern lights on a trip they get to go on another trip for free," he explains. "Tourists to Iceland seem to understand that we are looking for the northern lights, and that's what we're selling rather than a promise of seeing them. Our guides provide good information on the northern lights and the stars in the night sky and the trips have gone very well. "